Stress has become synonymous with modern life. The fact that it is so common doesn't make chronic stress any less toxic for our bodies and minds. These 5 yoga poses can be a great way to start your process of relieving stress naturally, and to ease into a calm mental space, free from mental chatter and overwhelm. Ayurveda offers a deep understanding of why we sometimes can't sleep or don't get quality rest. In this post, I introduce Ayurvedic take on why we experience sleep issues and how we can improve our sleep quality and fall asleep easier. Sleep is an extremely important element of a healthy life. But even the best sleepers occasionally experience inability to switch off the thinking mind, which compromises the quality of sleep. 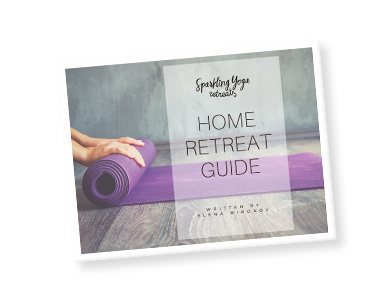 In this very practical guide, I will introduce you to yoga postures and meditation that help you not only calm down the nervous system but also slow down on every level, let your body prepare for rest, and drift into sleep realm. In this post, I explore the importance of rest, and share with you my favourite forms of both physical and mental rest to inspire you to dedicate more time and attention to this essential element of self-care.